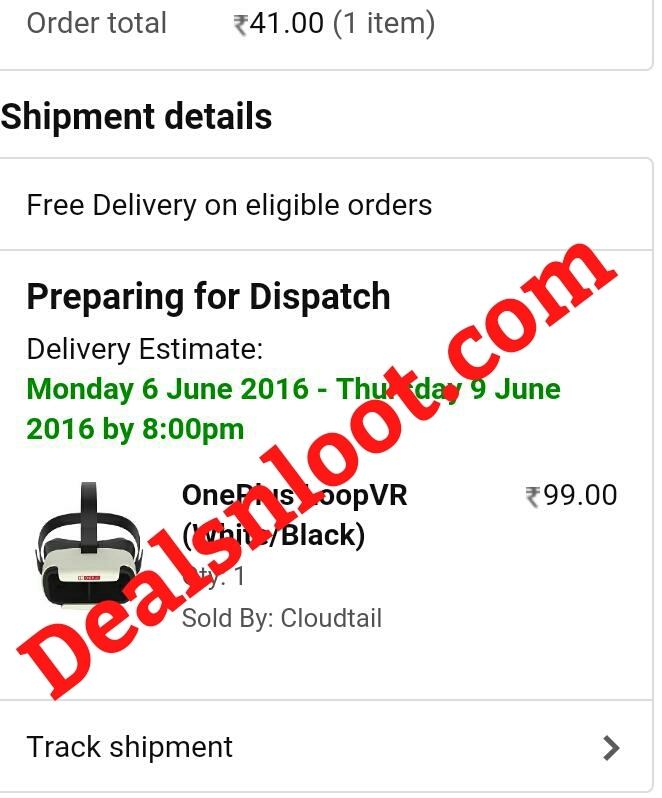 Hello Dealsnloot Readers, I Am Back Again With An Awesome Deal Guys You All Know Amazon.in They Provide Very Lightning Deals So They Come Again With Blasting Offer Guys Here One Plus Loop VR Headset @ Only Rs 1 Plus 40 Shipping Charges Guys Only For Rs 1 So Subscribe The Offer Today And It Will Be Live On 7 June @ 12 Pm .But buying in these flash sales is quite hard as hundred of thousands of customers are trying at the same time. 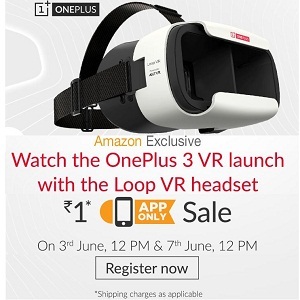 So in order to make your task simpler and successful,below we are adding some of the tips and tricks to buy OnePlus Loop VR Headset successfully in Amazon Flash Sale.So Hurry !!! Grab This Loot Buy Trick. Update :- This Flash Sale Live Today At 12.00 PM. 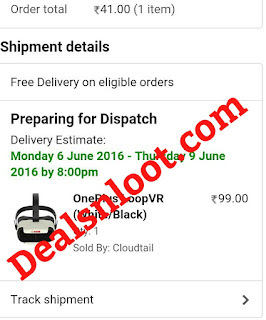 2:- Guys Open Amazon App On 7 June @ 12 Pm So Guys You Have To Search One Plus VR Headset On The Given Time And Date So Be On Time And Grab The Lightning Deal. There will be hundreds of thousands of users ready to smash that buy button as soon as the sale starts. In such a case, the odds of you bring the lucky users are quite low. That’s why we’re sharing a trick to Buy OnePlus VR at 1 re successfully. Since this is not for pc, therefore we cannot use any scripts. Note :- Your Android device must be rooted in order to use this trick. 1. Download RepetiTouch Pro app from Here. It will not work with the free version. 2. Open RepetiTouch Pro app and Grant SuperSu permissions when prompted. 3. Now Click on Start. 4. You will see a black bar with 4 buttons on the right side of your screen. 5. Click on the blue star button and then click on Settings. 6. Find Replay Speed and set it to 15 or 20 depending on the speed of your phone. You can go above 20 also but if you have a low spec phone it might hang your phone. 8. Click on the red circle and select the area for clicking. Then press red button again to stop recording. 9. Now long press green button and select a value to play. 10. It will automatically start clicking at very high speed (20×) when you press green button and add the product in your cart. One device is permitted per amazon user customer.